Or as low as $141.67 per month over 12 months. Apply Now. 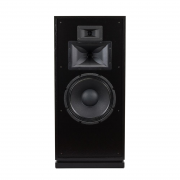 The Klipsch Forte III, with key upgrades that provide even richer sound than its predecessors. Among them is a newly designed midrange driver that uses the same horn-loaded design as their award-winning tweeter. 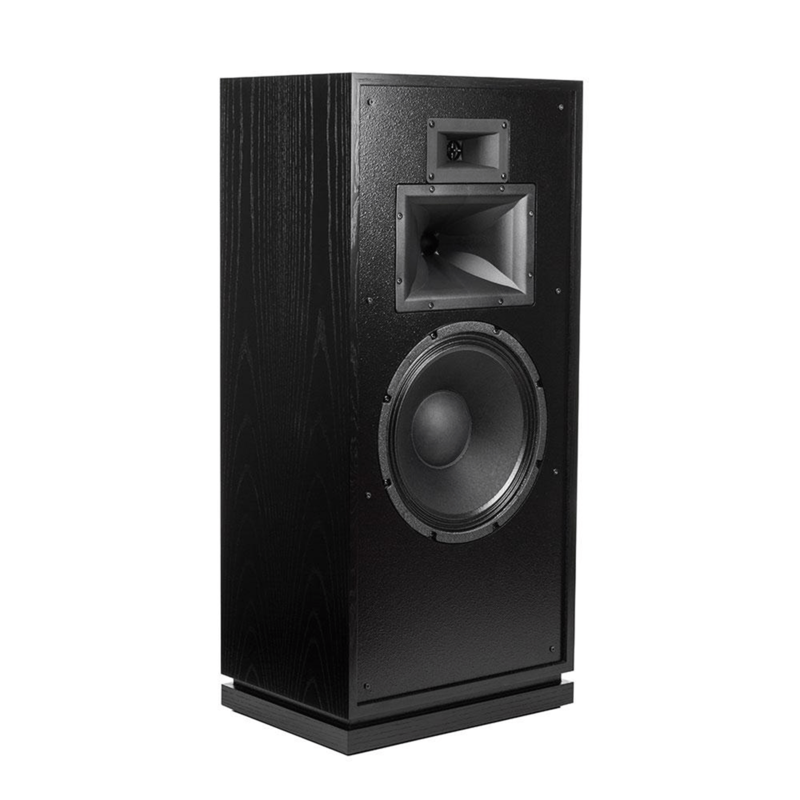 For over 30 years Klipsch has delighted music lovers with their popular line of Forte series floor-standing speakers. The Klipsch Forte III provides startlingly lifelike sound thanks to new titanium compression drivers in the midrange and tweeter sections. 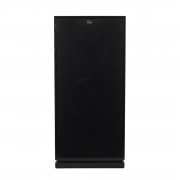 It’s also impressively efficient, delivering terrific sound without needing a ton of power. A 12″ woofer rounds out the low end with powerful, accurate bass. 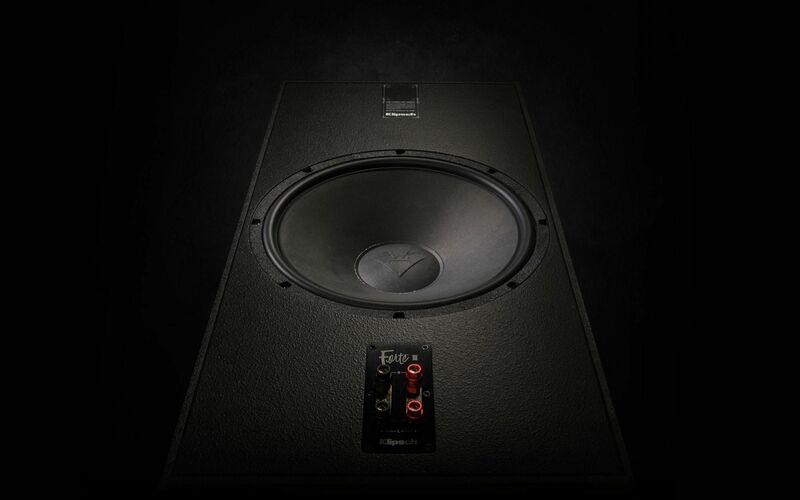 On the back of the Klipsch Forte III you’ll find a hulking 15″ passive radiator. This unpowered cone moves in tandem with the active 12″ woofer to reinforce low-frequency notes. The result is tight, clean bass that fills large rooms with ease. The Forte III is designed and hand-built in Hope, Arkansas. It’s available in several attractive finishes including Black Ash, American Walnut, and Natural Cherry. The Forte III (Heritage Series): First introduced in 1985, the Forte quickly established itself as the most popular Klipsch model. The elegant design and outstanding performance made the Forte a standout among its competitors. In 2017, Klipsch re-introduced the Forte as part of the Heritage speaker series. The new Forte III features updated cosmetics and the latest advancements in acoustic engineering, while maintaining the original charisma that made the Forte so popular. The Forte III hosts a three-way design utilizing a 12″ woofer and horn-loaded midrange and tweeter. The new Forte III utilizes all new state of the art drivers including a 1.75″ midrange and 1″ tweeter titanium compression drivers for a smooth and powerful response. The Forte III’s new midrange horn utilizes patented technology to improve coverage and control of the key mid-frequency band. 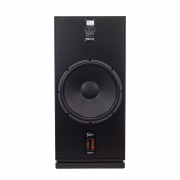 The Klipsch Forte III’s well-extended bass is found in the use of a rear-mounted passive radiator. A mammoth 15″in size, this sub-bass radiator operates on acoustic pressure generated by the woofer for greater bass output and extension. 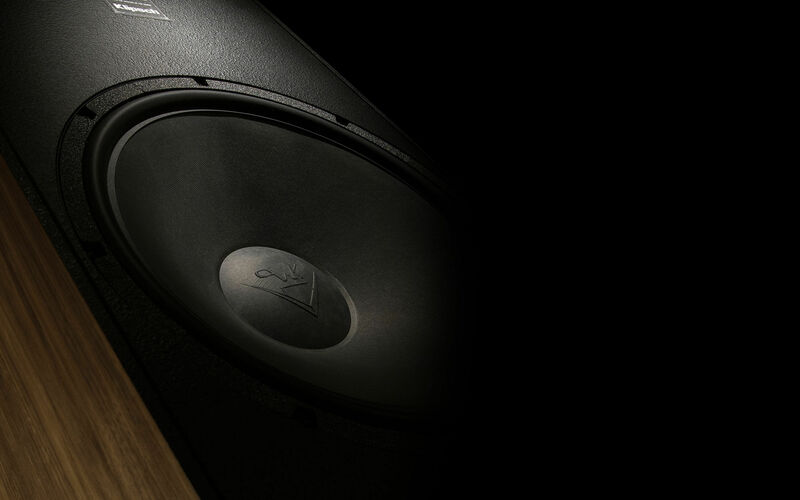 Klipsch only uses book-matched wood veneers for the Heritage series. 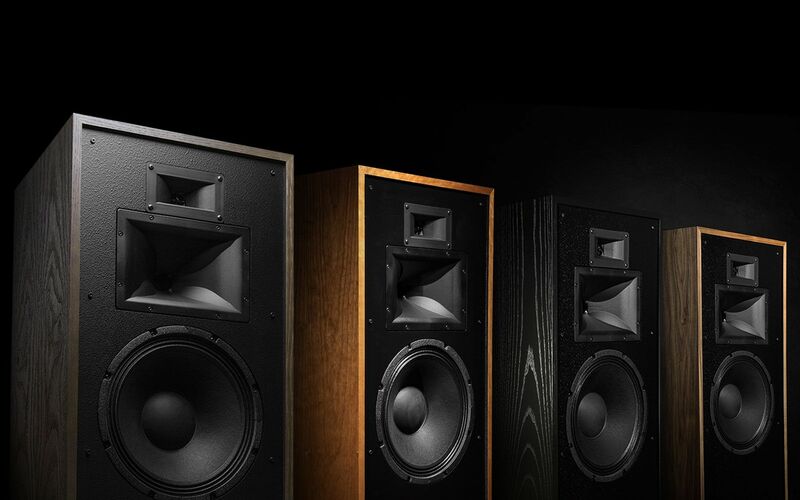 Each pair of Forte III loudspeakers is grain-matched using wood veneer panels that come from the same timber. The veneer leaves are kept in order as they are delicately sliced from the timber and precisely arranged to provide a mirror image at the splice joint – like turning the pages of a book. This gives each speaker a more aesthetically appealing and consistent appearance that is treasured more than any other cut of wood veneer. 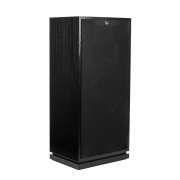 Each cabinet is carefully matched so that each speaker in the pair is practically indistinguishable from the other. The speakers move seamlessly together through the factory. Each finished product is inspected and labeled with sequential serial numbers, ensuring that each pair of speakers leave the factory as a meticulously crafted set. 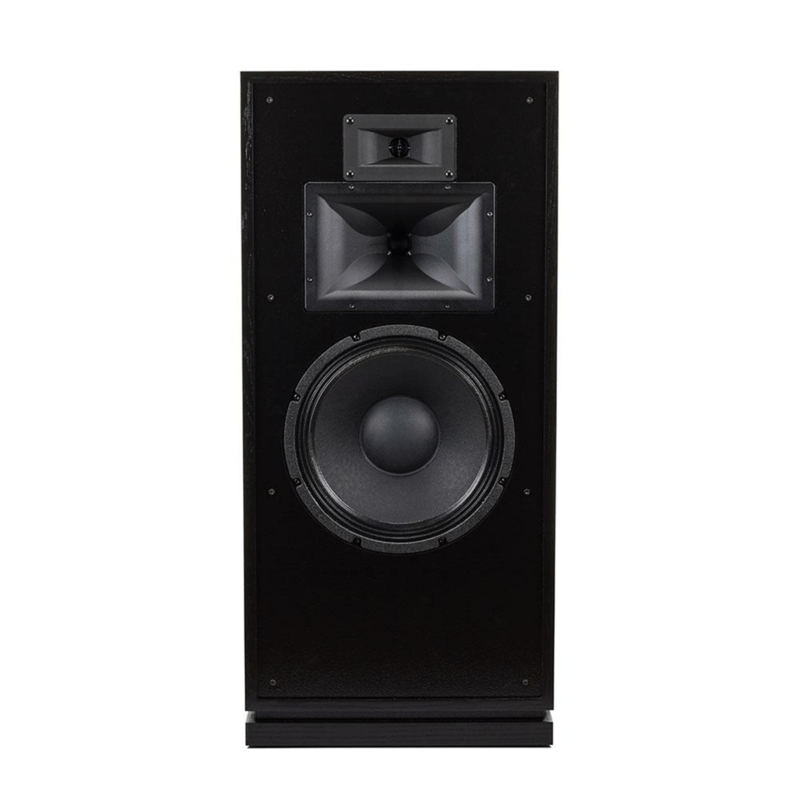 The Klipsch Forte III loudspeaker has two sets of binding posts connected by jumpers. Using the dual binding posts, you can bi-amp or bi-wire the speakers. The binding post terminals will accept banana plugs (single only), pin-connectors, spade-connectors, and bare wire. 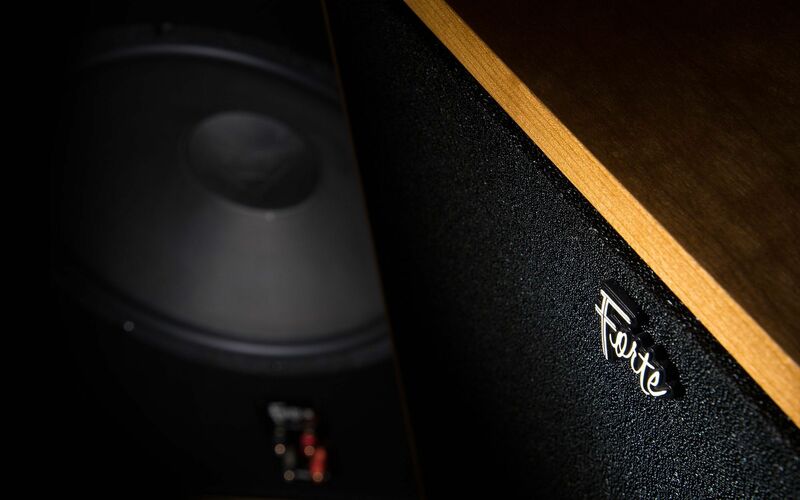 The Forte III has excellent bass extension and therefore offers a good degree of toe-in and placement options. However, the Forte features a rear-firing 15″ passive radiator that requires the loudspeaker to be placed at least 1″ away from the back wall. 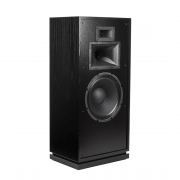 For optimal low-bass performance, it is recommended the loudspeaker be placed within 2″-10″ of the back wall. This will provide the best low bass loading and enhance the low frequency extension of the loudspeaker.